classmate, Molly Wei, have been charged in the case. It’s a tragic technological story heard round the world — a college freshman’s Webcam spying leading to a suicidal jump from the George Washington Bridge. Dharun Ravi, a freshman at Rutgers University, used his Macbook to stream video of his gay roommate having “a sexual encounter” in their room on September 19. 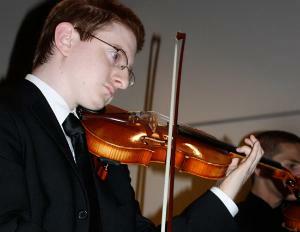 The roommate, Tyler Clementi, did not know that he was being watched or taped. Sadly, he apparently did not notice the green light on Ravi’s laptop camera turn on when Ravi activated it from another computer in friend Molly Wei’s room across the hall. Ravi invited other friends to watch the stream on iChat, and planned a second viewing on September 21st when Clementi again indicated he’d like the room to himself for a few hours, tweeting that day, “Anyone with iChat, I dare you to video chat me between the hours of 9:30 and 12. Yes it’s happening again.” It appears from a gay message forum that Clementi was already on to his roommate by that time. The New Jersey police have charged Ravi (and Wei) with criminal invasion of privacy, which carries a maximum sentence of five years in prison according to the New York Times, and a possible $30,000 fine according to the New Jersey criminal code. As my colleague Andy Greenberg points out, some of the same technologies that facilitated Ravi’s invasion of Clementi’s privacy will now help prove his guilt in the case — Ravi’s Twitter feed. Ravi deleted it, but police can get it from Twitter, or Google cache, or one of the Twitter tracking sites like Topsy. As I’ve said before, deletion on the Internet is futile. Clementi also has a digital trail on the Internet, and it appears that he knew his roommate had filmed him after the first September 19th incident. A month-old tweet from Ravi indicates he discovered his roommate’s sexuality based on comments Clementi made on a gay message forum. Ravi tweeted on August 22, “Found out my roommate is gay,” and linked to a post he said was Clementi’s on JustUsBoys. It’s the same forum that Clementi appears to have turned to after discovering he’d been spied on. As Gawker noted, a user on the forum by the name of “cit2mo” posted a thread “college roommate spying…..” on September 21 at 7:22 a.m.
so the other night i had a guy over. I had talked to my roommate that afternoon and he had said it would be fine w/him. I checked his twitter today. he tweeted that I was using the room (which is obnoxious enough), AND that he went into somebody else’s room and remotely turned on his webcam and saw me making out with a guy. given the angle of the webcam I can be confident that that was all he could have seen. so my question is what next? the other thing is I that don’t wanna report him and then end up with nothing happening except him getting pissed at me…. and the fact that the people he was with saw my making out with a guy as the scandal whereas i mean come on…he was SPYING ON ME….do they see nothing wrong with this? unsettling to say the least…. so I decided to fill out the room change request form….its not guaranteed that you get a change…and i don’t have to switch if I change my mind or work things out over the next week (they won’t start filling requests until next week)…but I figure I might as well as see what they can offer me…. the only things is…there are too many ‘could’s ….the fact that he didn’t ACTUALLY record me (to my knowledge) and the fact that the school really prolly won’t do much of anything…. but anyway, i’ll be talking to my RA later today for sure…..
and yah, revenge never ends well for me, as much as I would love to pour pink paint all over his stuff…..that would just let him win…..
so I wanted to have the guy over again. I texted roomie around 7 asking for the room later tonight and he said it was fine. I haven’t even seen my roommate since sunday when i was asking for the room the first time…and him doing it again just set me off….so talking to him just didn’t seem like an option…. meanwhile I turned off and unplugged his computer, went crazy looking for other hidden cams….and then had a great time. Cit2mo’s last posting to the site on the morning of September 22nd indicates that he emailed an RA a paragraph about what had happened. Though he seemed calm and collected in his postings to JustUsBoys, that night, he posted “Jumping off the gw bridge sorry” to his Facebook, and committed suicide. These digital trails may answer questions that could not be answered otherwise. A big question now is why Clementi’s resident advisor did not get Clementi moved out of that room immediately. In addition to the criminal charges arising from this, there will be civil lawsuits. Rutgers University may find itself the target of a civil lawsuit. And Clementi’s family and perhaps Clementi’s unnamed romantic partner of September 19 will surely sue Ravi, and perhaps Wei, for invasion of privacy. In a similar case in Kansas, a man was ordered to pay $55,000 after distributing naked photos of his ex-girlfriend via email. The claims were invasion of privacy and infliction of severe emotional distress. Another case that comes to mind involving Webcam spying and schools is the famous case out of Philadelphia, where a high school handed out laptops and then activated cameras remotely without informing the students using them. In that case, prosecutors dropped the criminal charges, finding no criminal intent in the “spying.” Ravi will not likely be so lucky. My 2 Pence: I think that no matter how deep the shame. suicide is not a option. This just puts into perspective how paranoia about how society will label you for subscribing to a lifestyle that is widely not accepted can eat at you. In any case RIP.